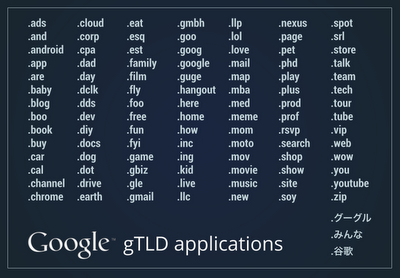 of the websites we visit are found in the .com top-level domain (TLD), which was among the first TLDs created in 1984. Despite the great opportunities the web has enabled for people around the world, there is still a lingering question about the diversity of the domain space (given that the number of generic TLDs has only increased by 14 in the last 28 years). We’re just beginning to explore this potential source of innovation on the web, and we are curious to see how these proposed new TLDs will fare in the existing TLD environment. By opening up more choices for Internet domain names, we hope people will find options for more diverse—and perhaps shorter—signposts in cyberspace. In 2016, it’s estimated that almost half of the world’s population will be online, yet nearly 50 percent of the websites we visit are found in the .com top-level domain (TLD), which was among the first TLDs created in 1984. 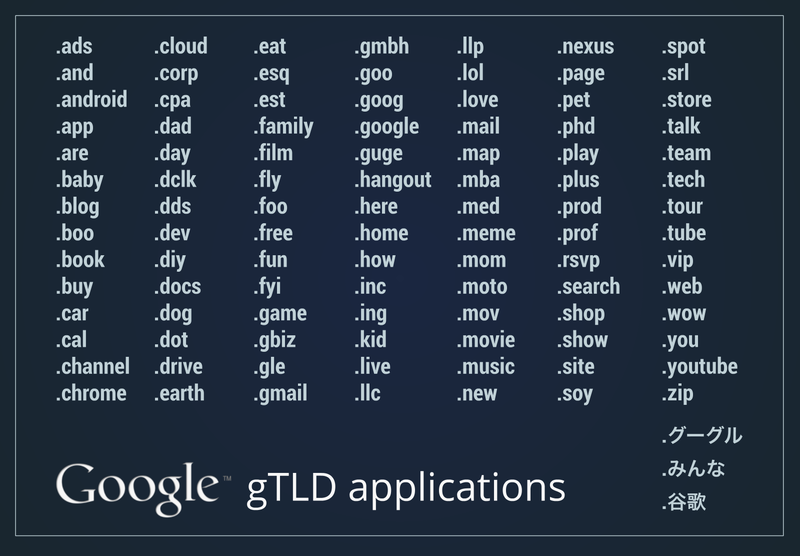 Despite the great opportunities the web has enabled for people around the world, there is still a lingering question about the diversity of the domain space (given that the number of generic TLDs has only increased by 14 in the last 28 years).